Welcome to the world of Yaoh! Yaoh is based in Bristol, UK, and is one of the UK's original hemp companies, with a range of hemp bodycare and food products that are 100% vegan and free from animal testing. Enter your email address below to sign up to our mailing list for upcoming news, offers and promotions. Here are our full list of distributors - click on the logos below to be redirected to the distributors' websites. Yaoh has been at the forefront of promoting the benefits of hemp seeds for many years and they were pioneers in the production of sun preparations and lip balms using hemp oil. 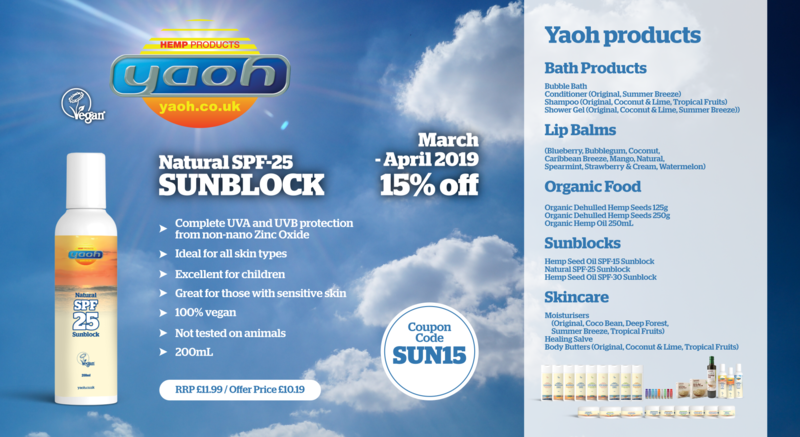 We have had the privilege of working with Yaoh for 18 years now and their products have always been extremely popular with our customers, as they know they can count on high quality and fun products which are totally vegan. 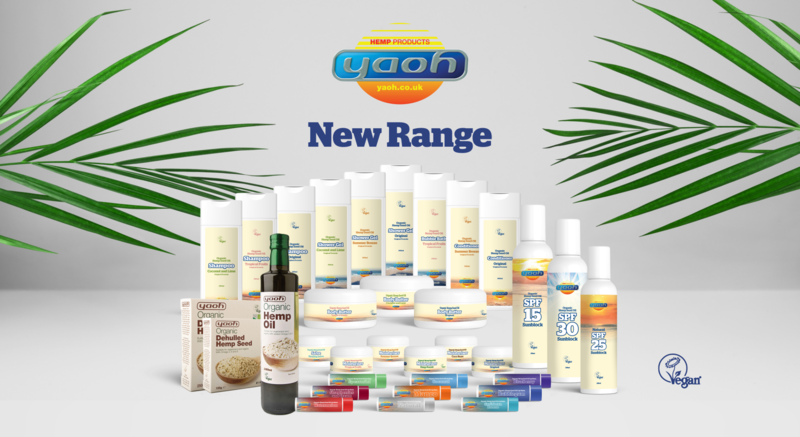 We can’t wait to try the new range of body care products in its new packaging and wish Yaoh every success with their exciting new venture. Since they hit the shelves, Yaoh’s products have shouted loud the benefits of hemp seeds and a plant-based life. They brought the first hemp oil sun protection and fabulous creams, lip balms, toiletries, seeds and oil, years before the fad for ‘superfoods’. Quality always great, fun always packed, bursting with fruity joy.